Today, I was again in the mood for pizza as I am every day, but I wanted something a little bit different. I didn't necessarily know what different meant, so I sent my buddy the Lackawanna County pizza expert a message asking if he wanted to team up for another review, and to pick us a place that offered something different. He suggested Andy's in Peckville and I quickly agreed. I've never been to Andy's, tried their pizza, or even heard about what the pizza is like so I was totally stoked to get there and try it out. My first impression upon walking in was that this was a very casual place with nothing fancy. When we sat down, I made a critical rookie mistake in asking for a menu. 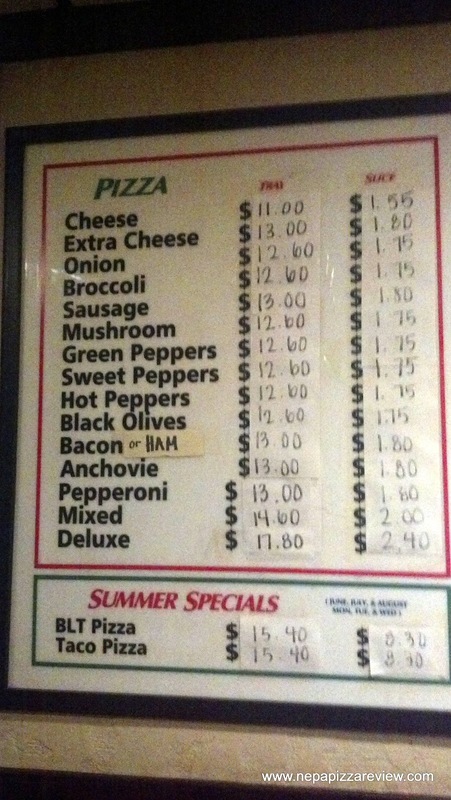 My buddy called me out on being a newbie, and the waitress informed me that they only served pizza, so there were no menus besides the one on the wall when you walk in the door. So after my rocky start, the choice was simple! We ordered "a pizza" and that was essentially all we needed to say because Andy's keeps it simple - 1 product, 1 pizza, 1 size. All you have to do is pick the toppings. In this case we went with a plain cheese as I customarily like to do for this blog. I didn't have long to look around the casual dining room with wooden booths and walls lined with photos and memorabilia because the pizza was literally done in 5 minutes, which was impressive. I finally got a glimpse of this fabled pizza, and my buddy was right, this was different than anything I had reviewed so far. 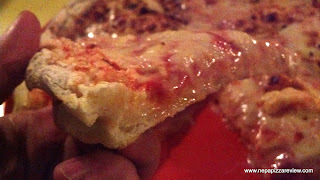 The crust was very thick, fluffy, plump, and almost bread-like. The pizza was smothered with American cheese which was creamy, milky, and melted to absolute perfection. The dough looked to be cooked a bit lightly, but after the first bite, it was apparent that this was cooked just right. The crust, although very fluffy, was cooked all the way through, and was slightly crispy on the bottom which was amazing. The dough also radiated the pungent smell of fermented yeast, which if you aren't familiar, it smells kind of like beer. If you can't tell, the crust was really the dominating feature of this tray of pizza. The cheese was also good in the sense that it was cooked properly and not burned. American cheese is what it is, but if you cook it properly it is a nice complement as was the case here. 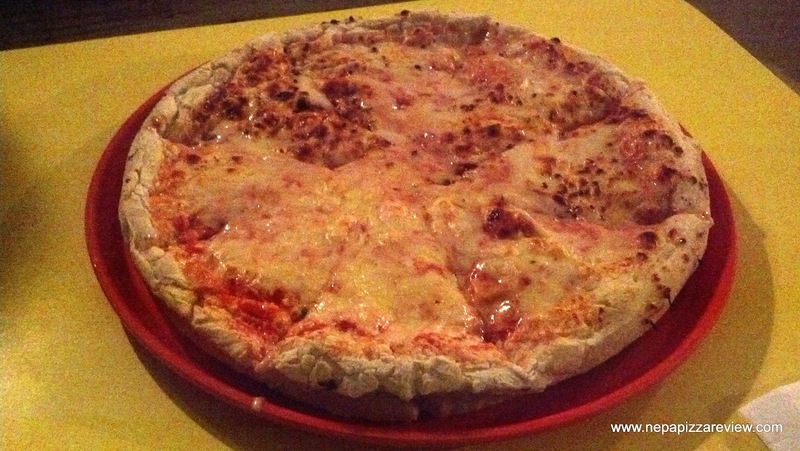 Finally, the sauce kind of faded into obscurity between the mammoth crust and generous portion of cheese. If nothing more, it added some balance to the pie, but not much to report in terms of flavor. 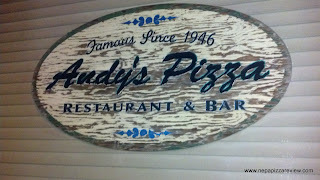 Overall, I have to say eating Andy's pizza was a very exciting experience for me because it was so unique. 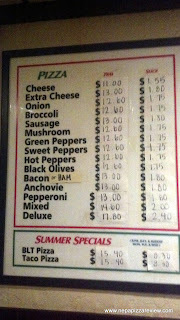 I'm not sure if I was infatuated with it's individuality in NEPA or if I truly enjoyed the pizza on it's own. Actually, I lied - I know exactly what I thought about it, and those thoughts are reflected in the ratings below! I have to say, Andy's is probably a love it or hate it type of pizza, but I would recommend you get to Peckville and try it out! Great review; now I'm hungry for some Andy's pizza! I wish I could find a recipe for that crust!